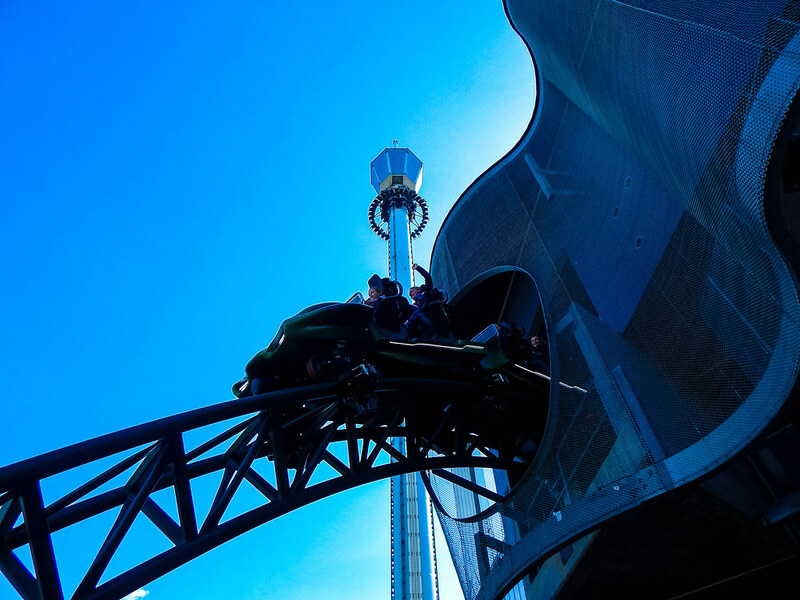 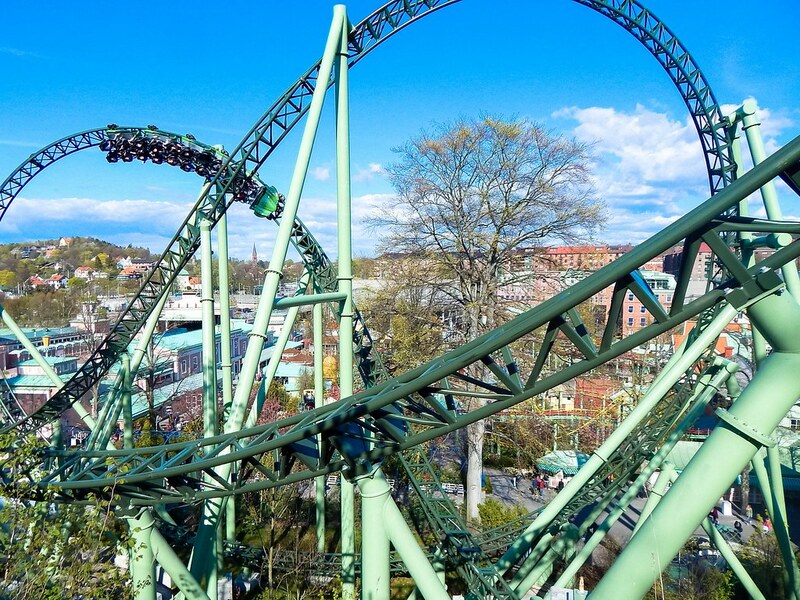 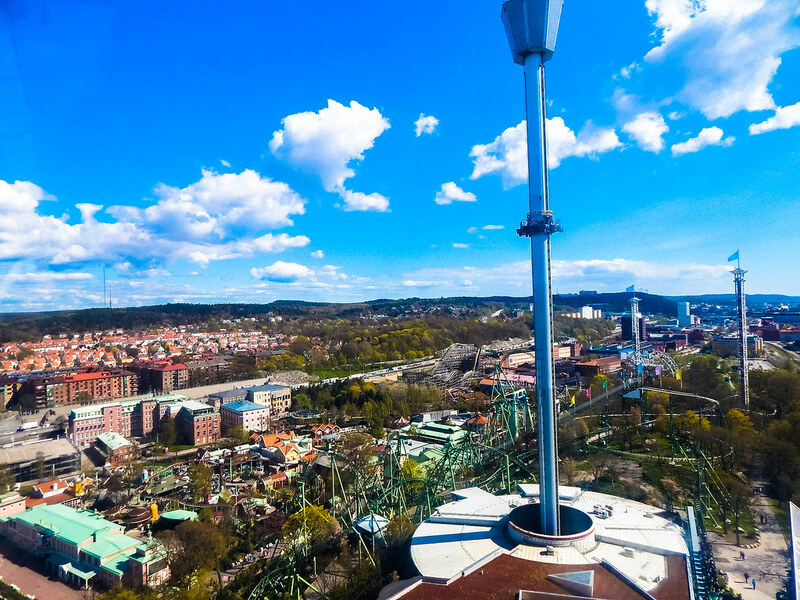 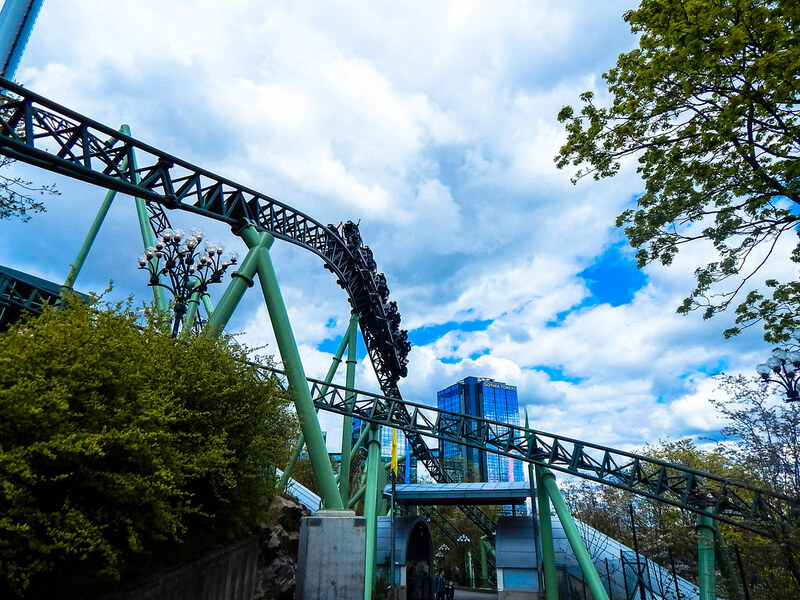 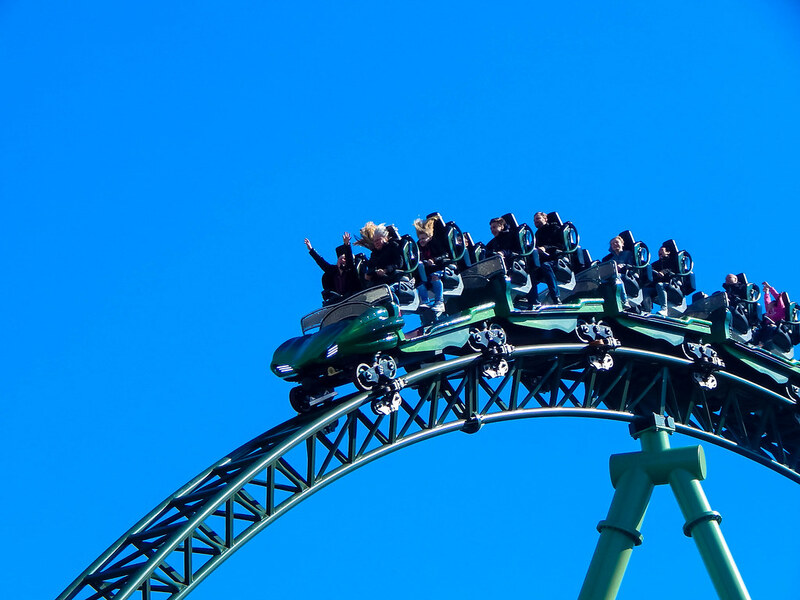 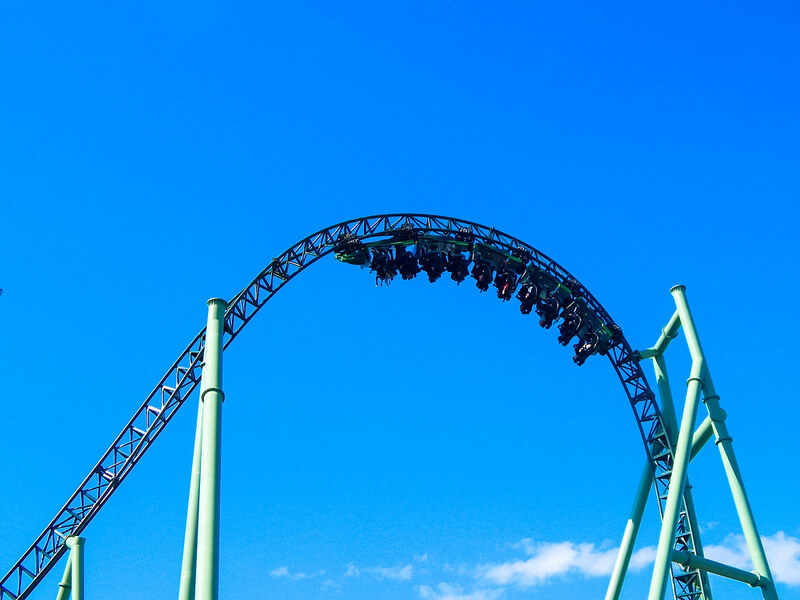 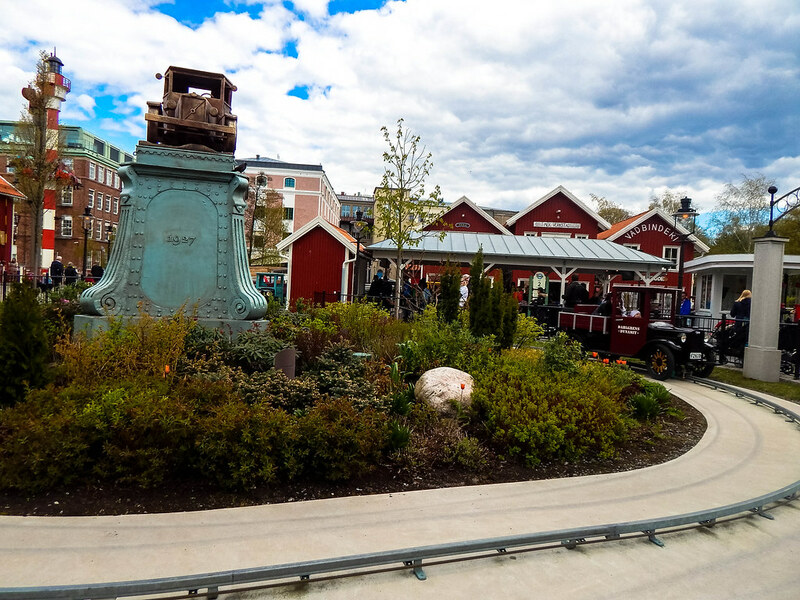 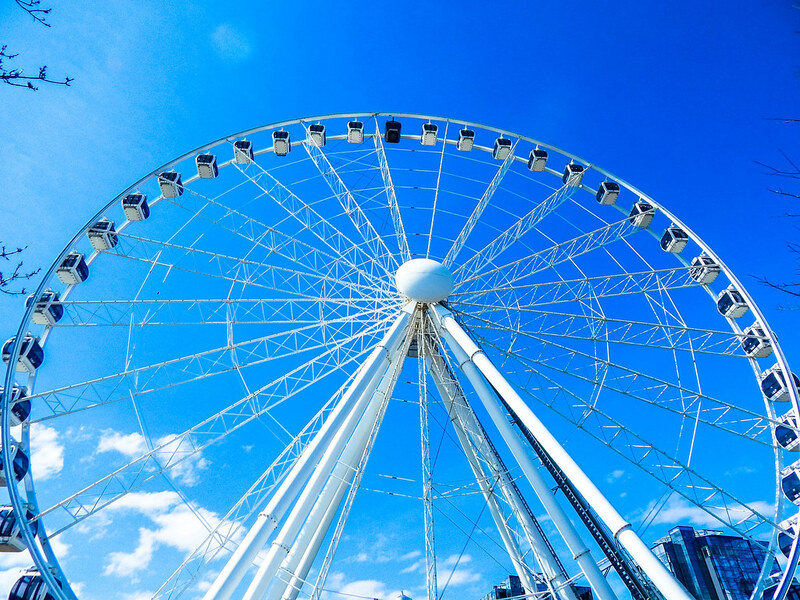 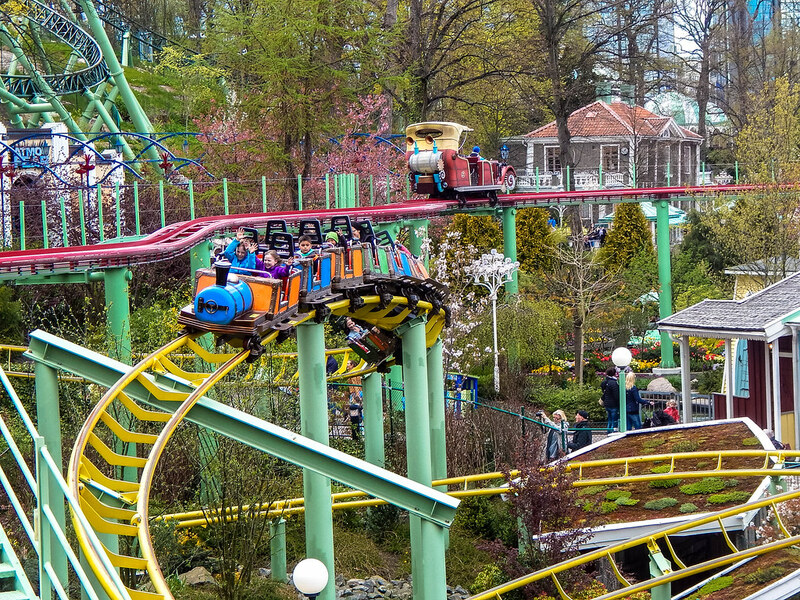 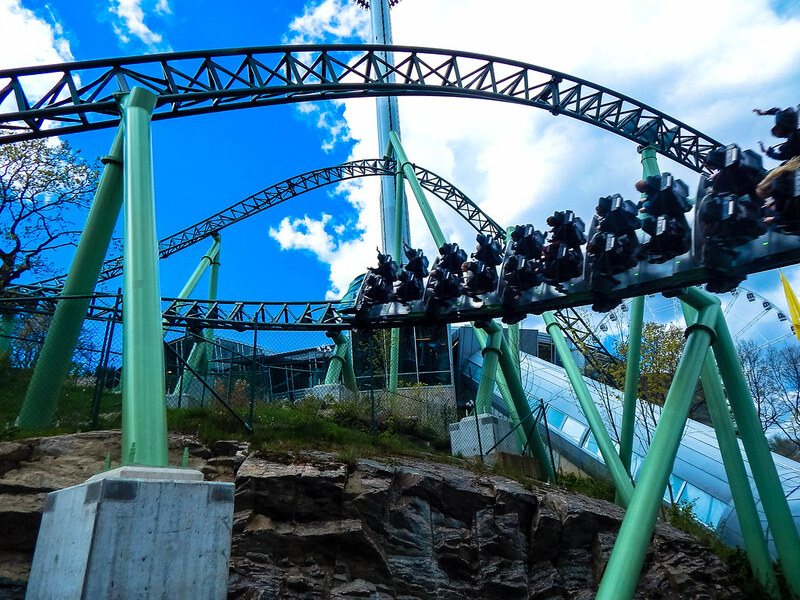 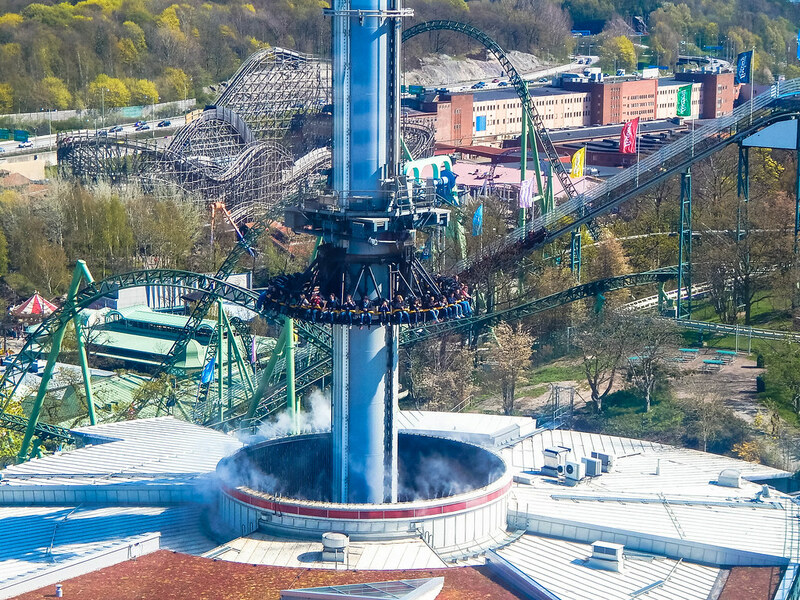 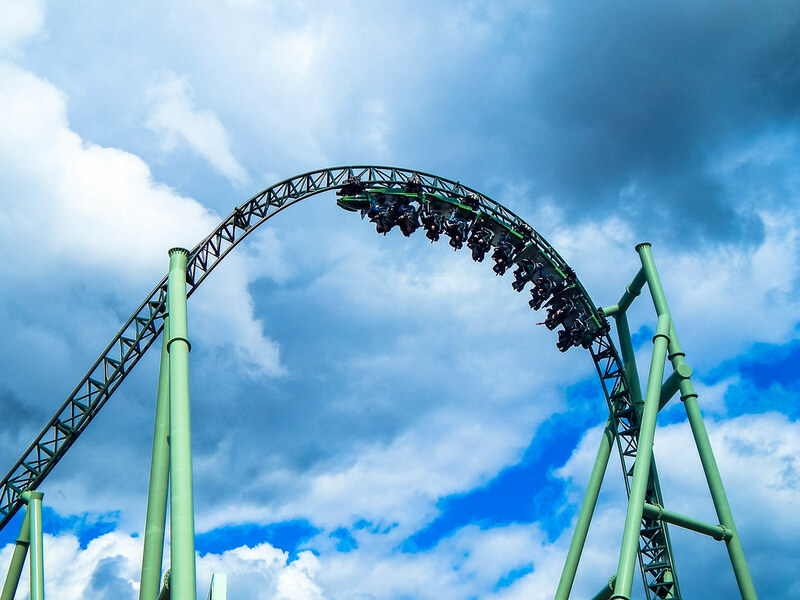 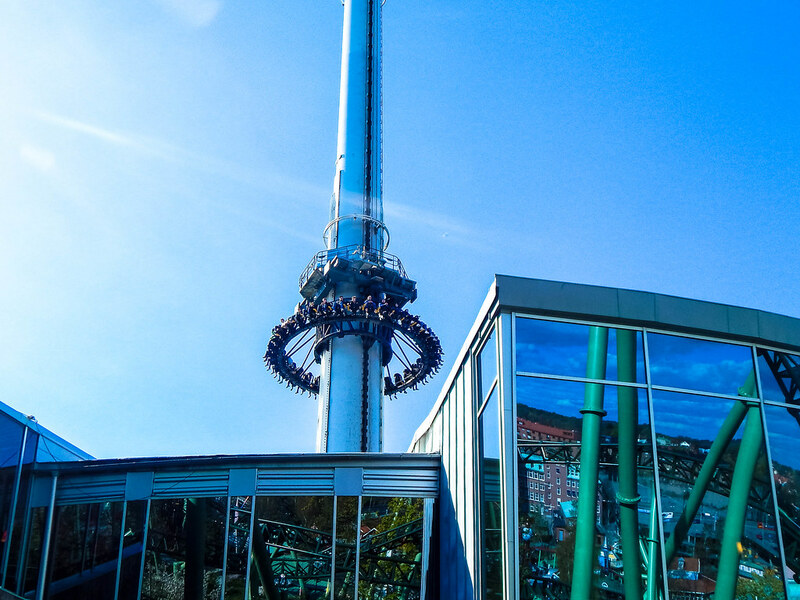 Liseberg is an outstanding theme park set in Gothenburg, Sweden’s second largest city. 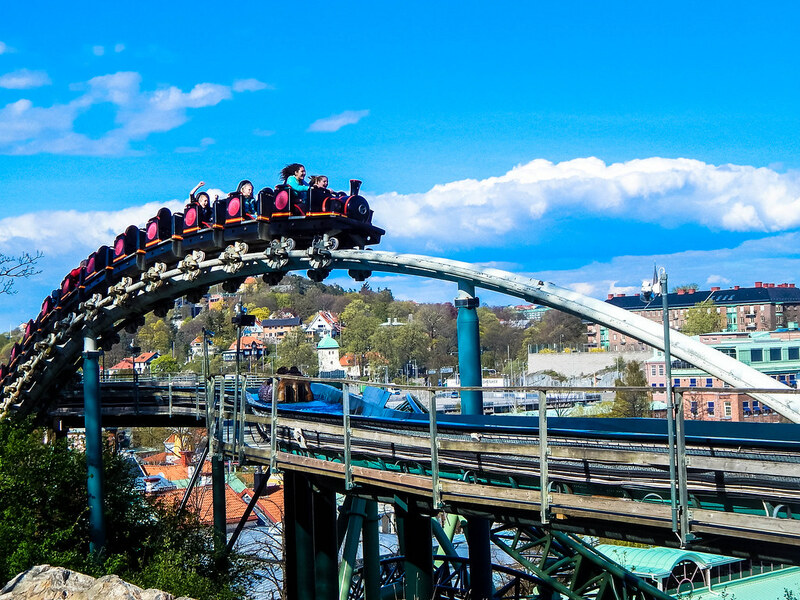 The attraction which opened in 1923 welcomes over 3 million visitors a year and is one of Scandinavia’s most visited attractions. 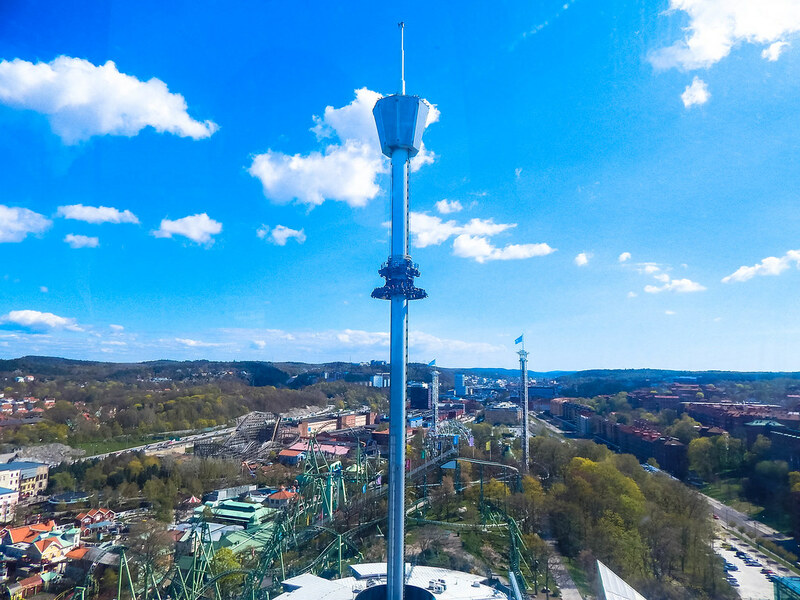 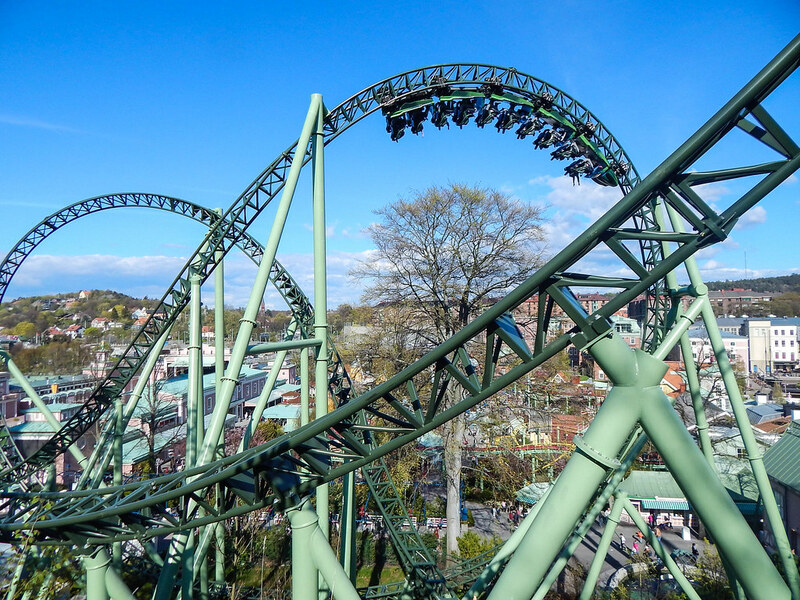 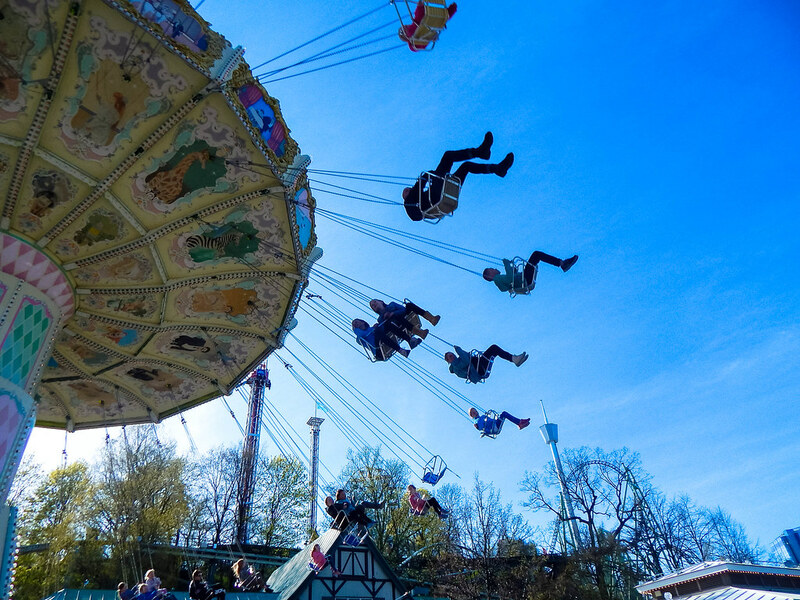 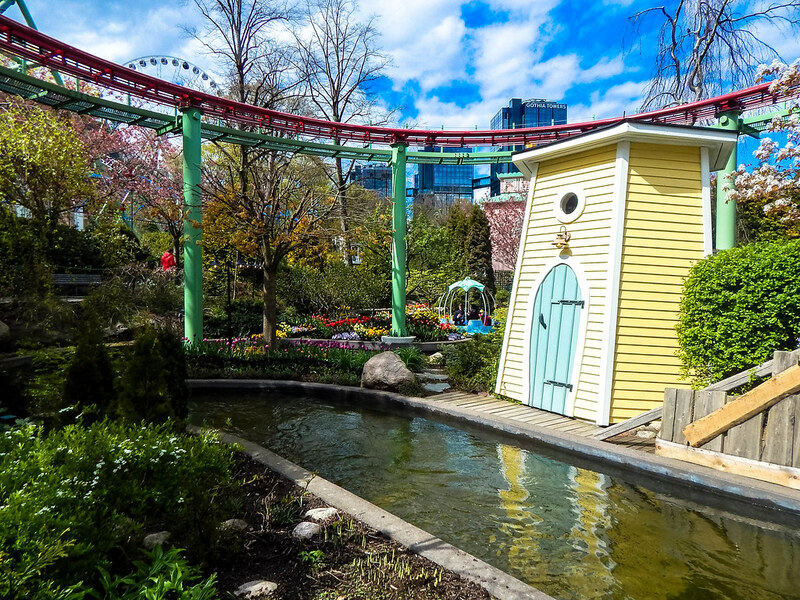 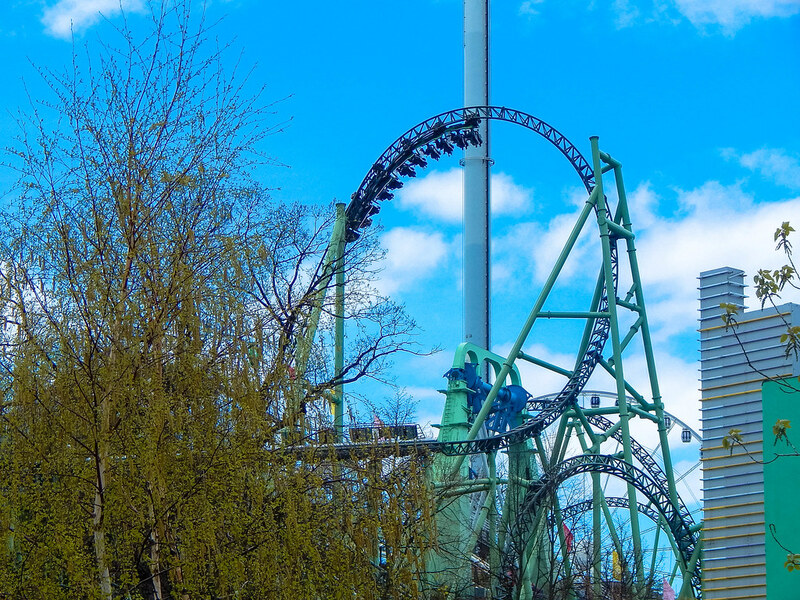 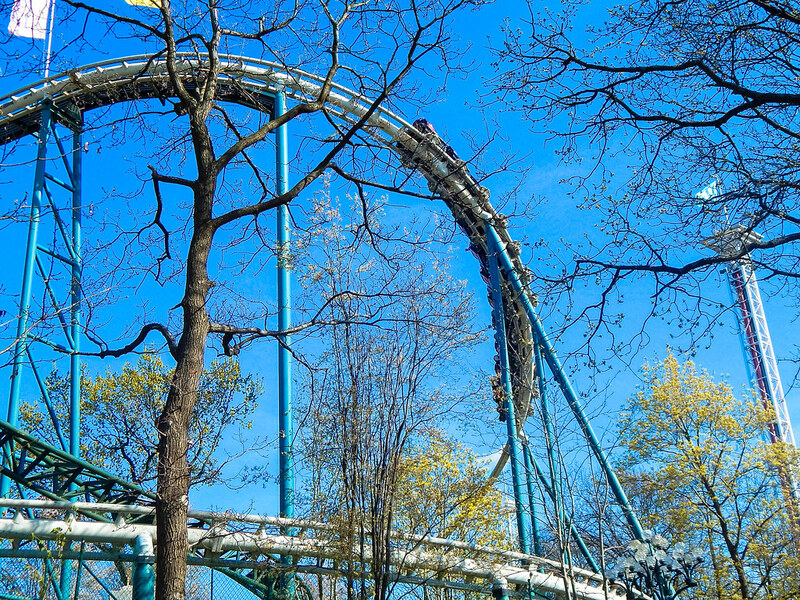 When we visited on a beautiful spring Sunday in May we soon realised why so many people have only good things to say about Liseberg. 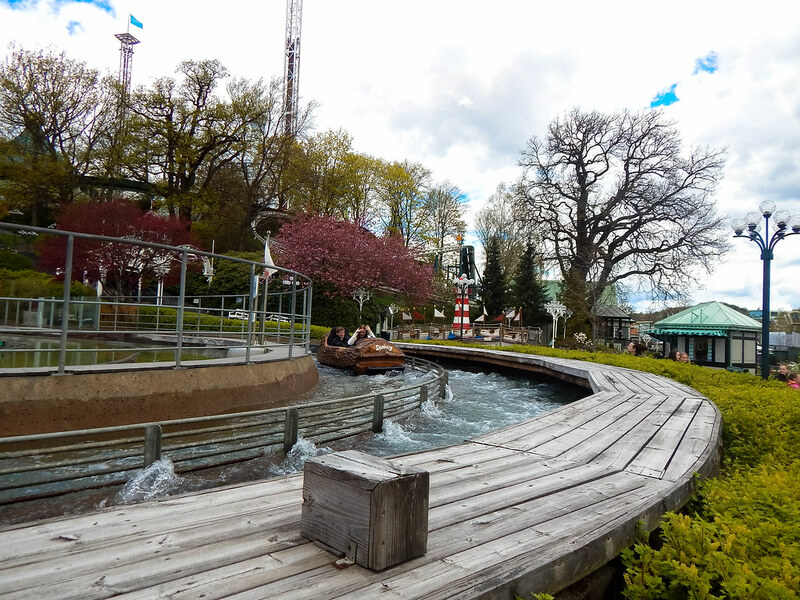 It’s not just the fear inducing rides that we loved in Liseberg, it was also the attention to detail and the care in which the park takes to make sure everything is in pristine condition. 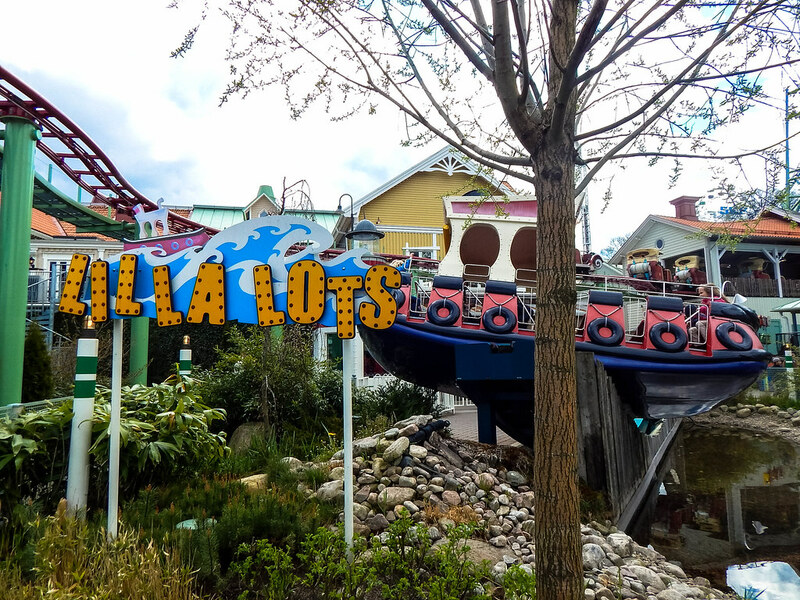 The park is truly beautiful with thousands of flower displays and well kept gardens, as well as the rides themselves looking fantastic! 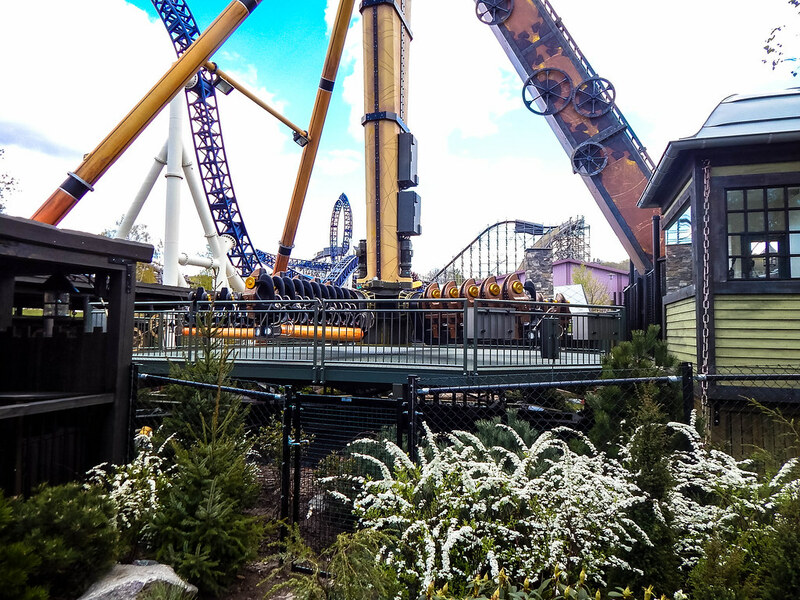 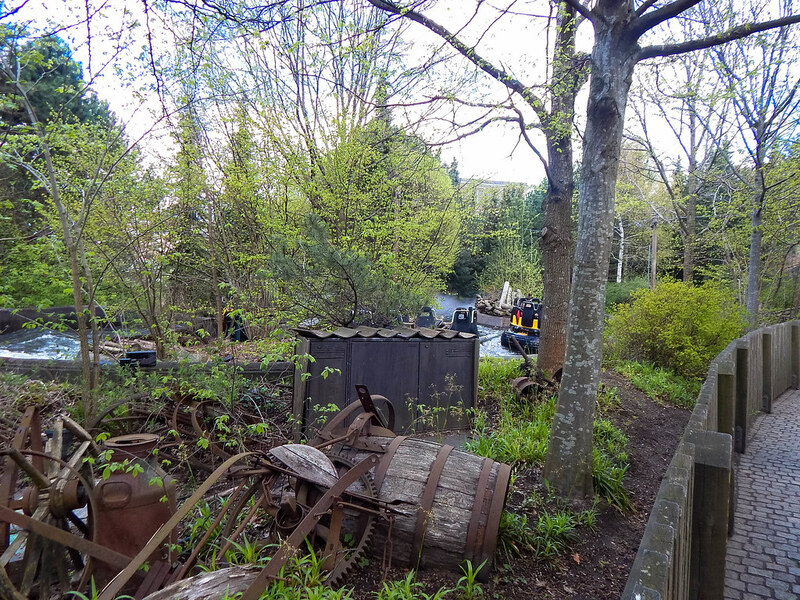 So enough about how pretty the park is, I am sure you want to hear about their star attractions and our thoughts! 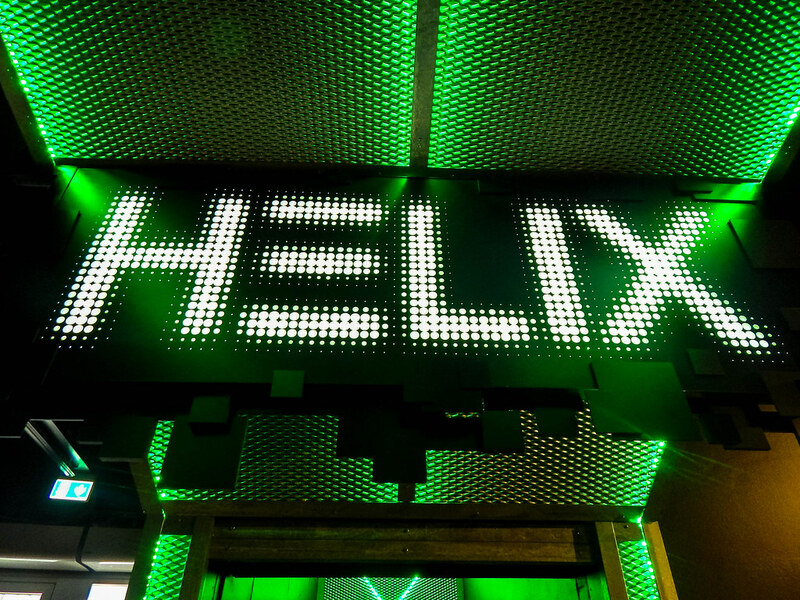 Well firstly we will start with Helix, their newest roller coaster which was one of the main reasons we visited. 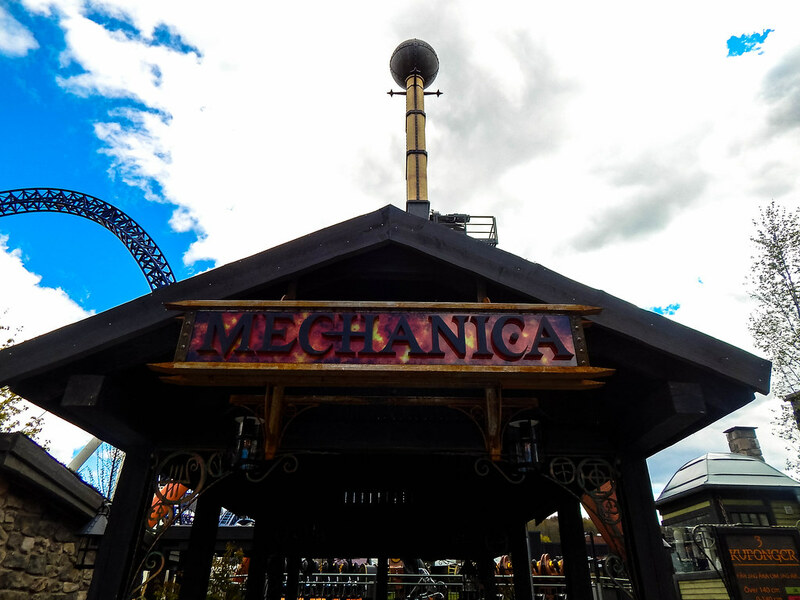 It is extremely impressive to look at as you pass underneath this twisted metal monster as you take the elevator up the hill to ride it. 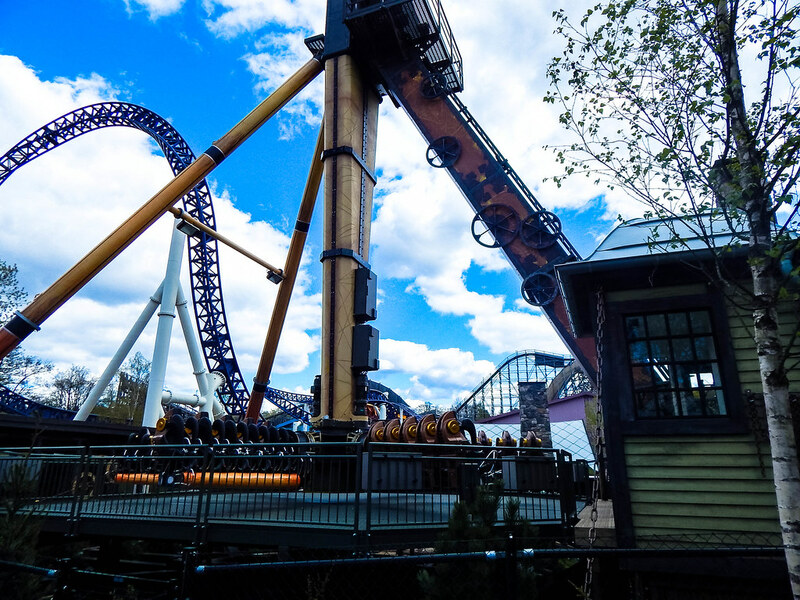 The soundtrack sends shivers down your spine as you pull out of the station and hurtle into 2 minutes of loops, launches and a crazy amount of airtime. 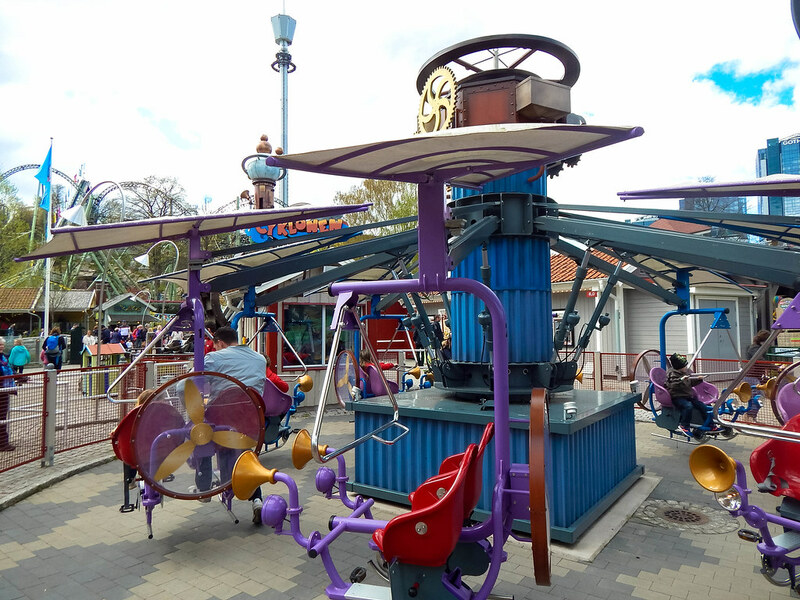 We loved this ride, although it was fantastic our favourite was still yet to come. 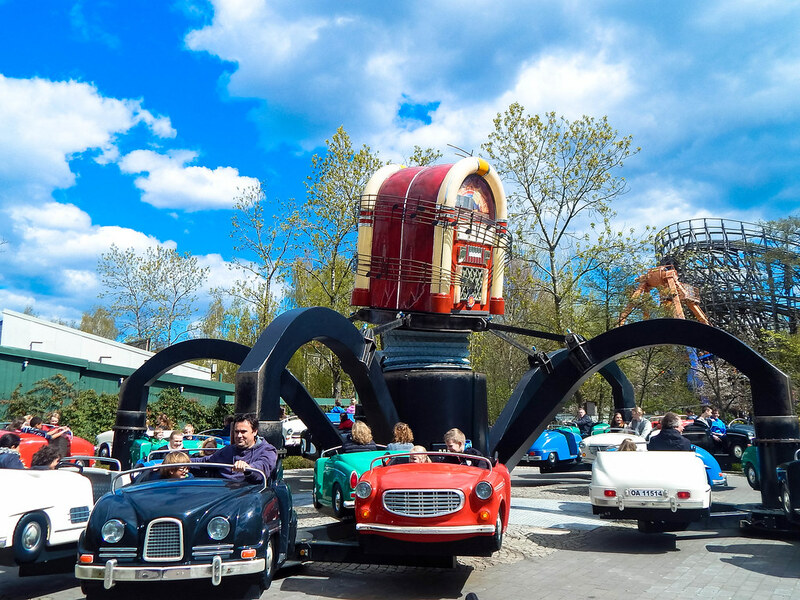 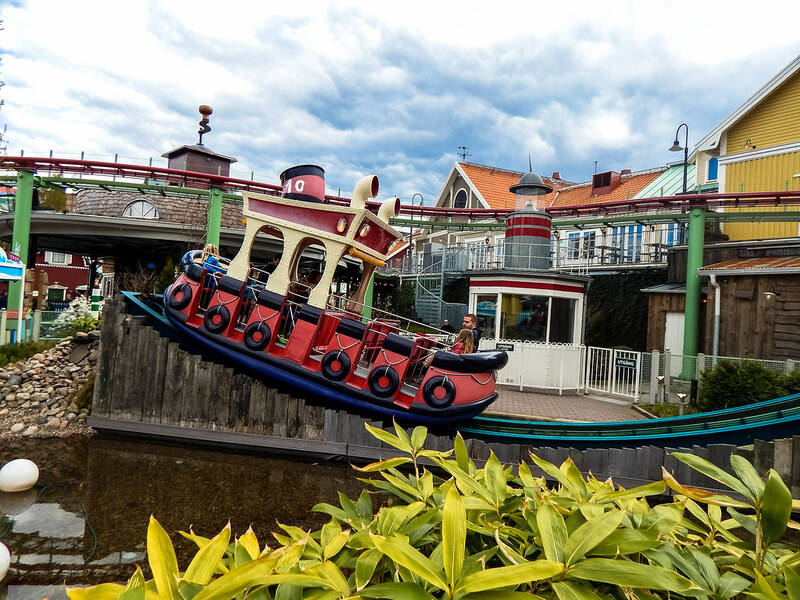 The parks other roller coaster collection included: Kanonen, a punchy launched roller coaster with various loops; Lisebergbanan, which looks like a tame family roller coaster but will take you on a wild ride and finally the parks famous wooden roller coaster Balder. 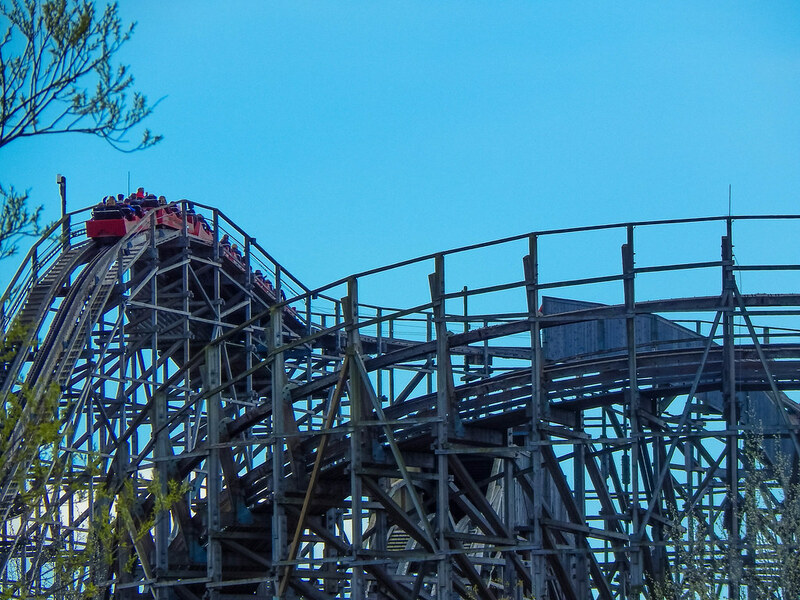 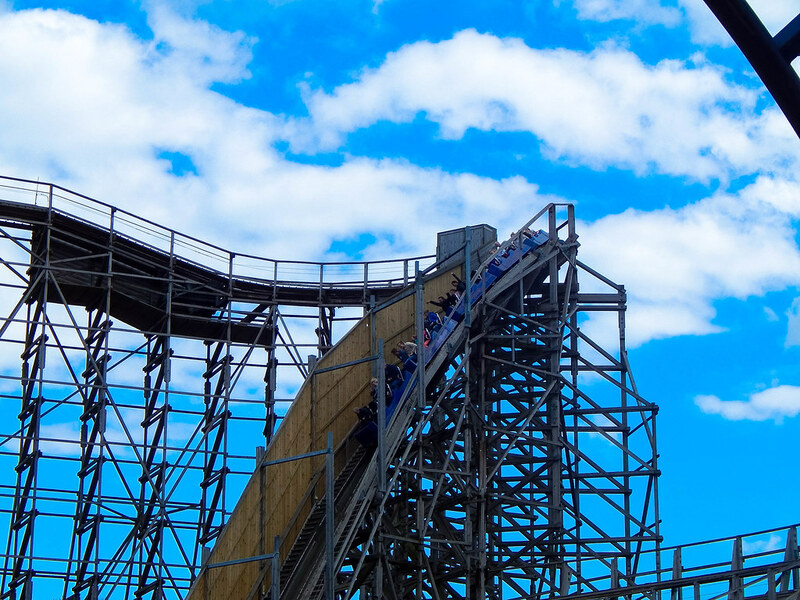 Now here at Themeparkmedia.co.uk we have ridden many wooden roller coasters, but this absolute beast has taken the top spot. 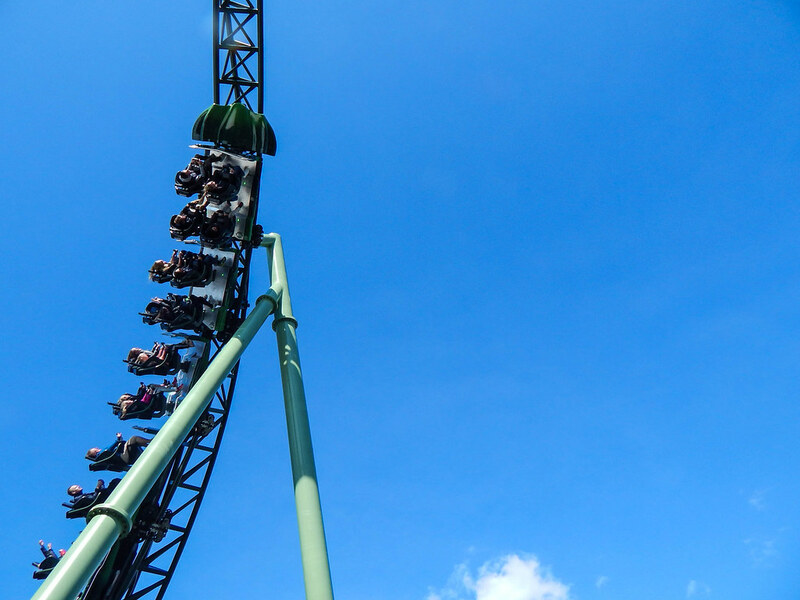 It’s thrilling, airtime filled and is such a comfortable ride that it’s impossible to fault! 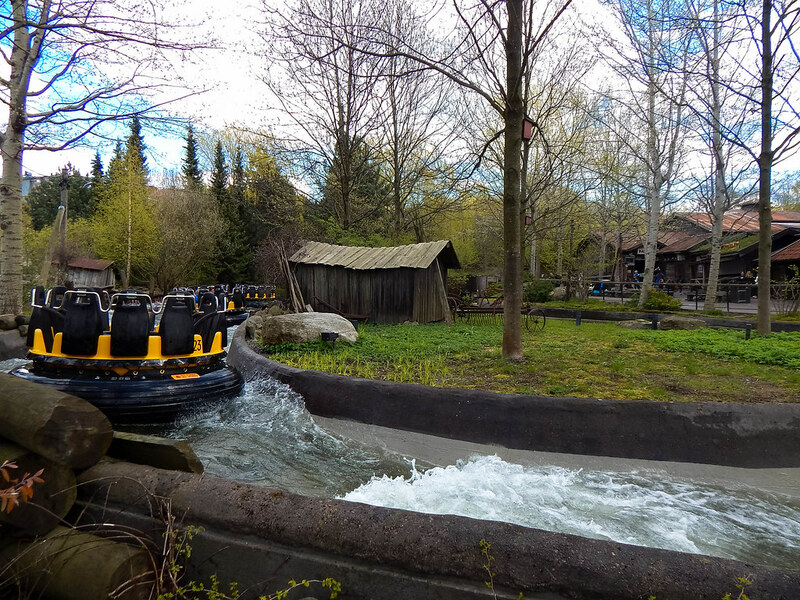 After rising Balder several times we decided to sample some of the parks other rides and attractions. 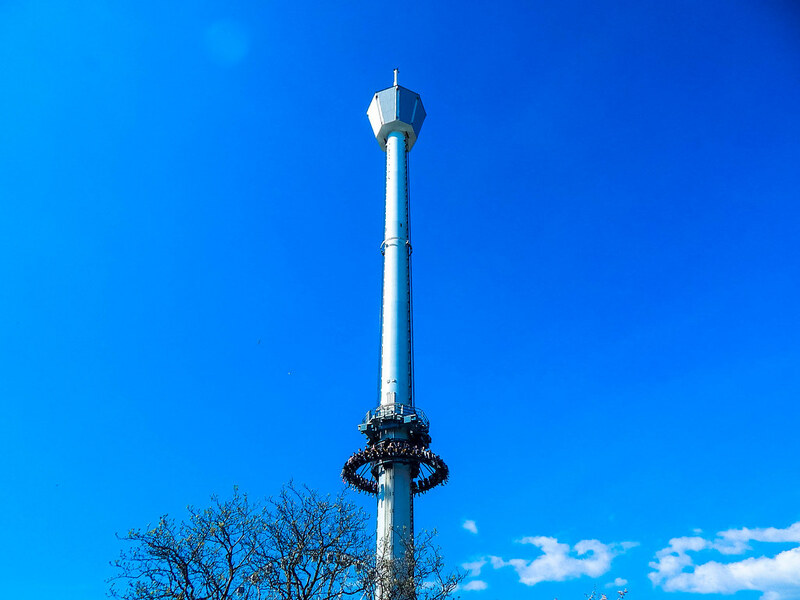 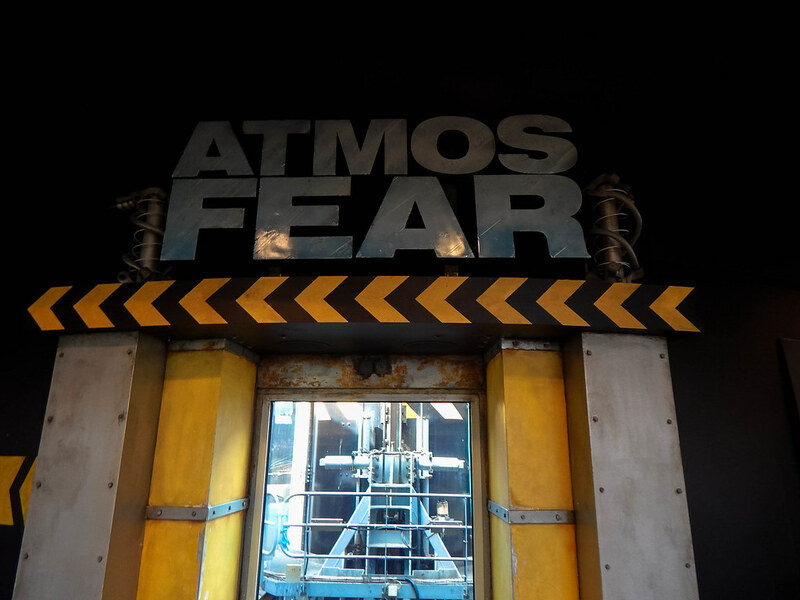 Possibly one of the best drop towers we have been on had to be Atmosfear, with its gigantic 380ft drop and outstanding theming turnt it into a terrifying ordeal. 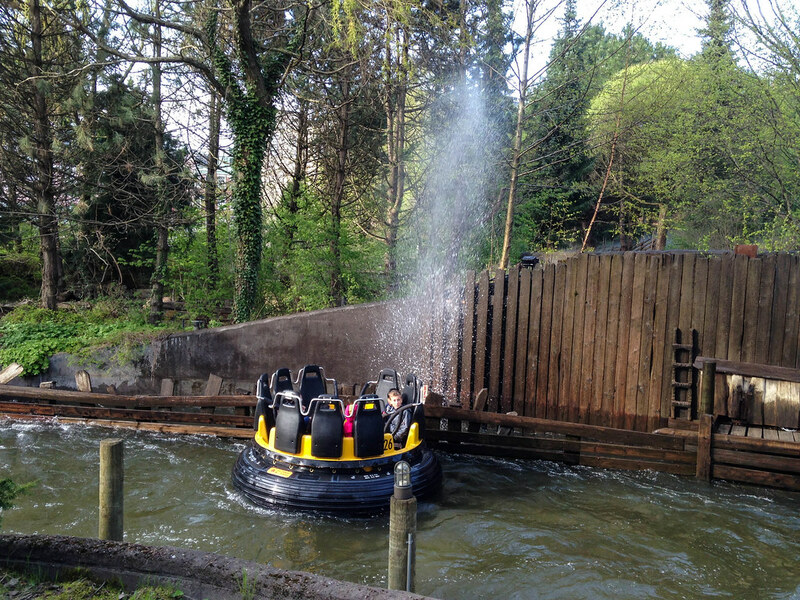 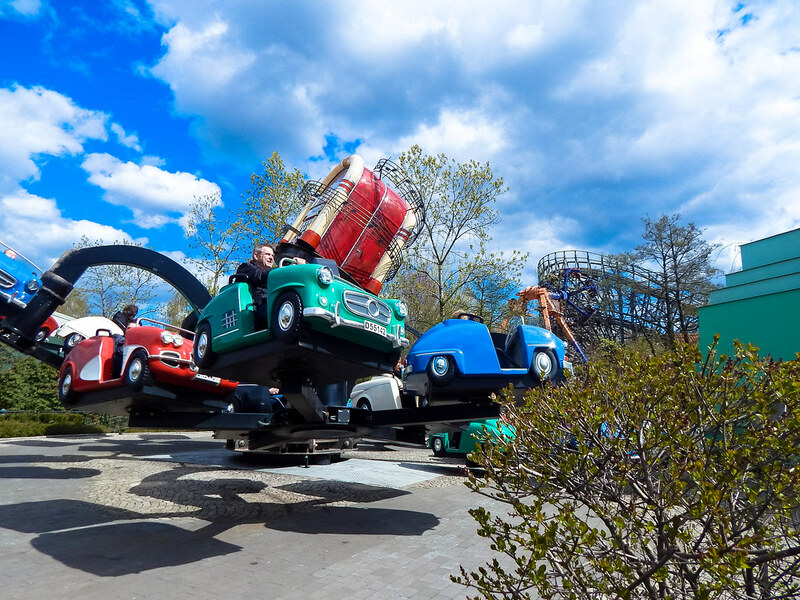 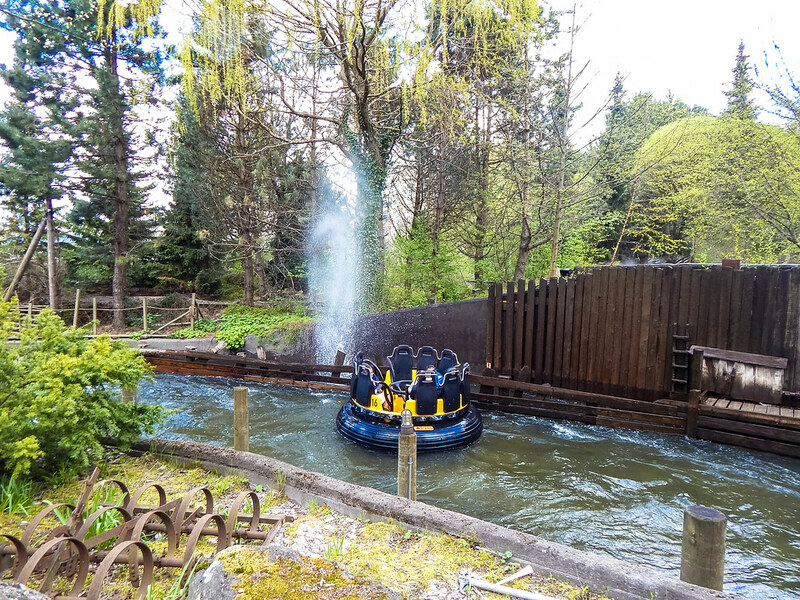 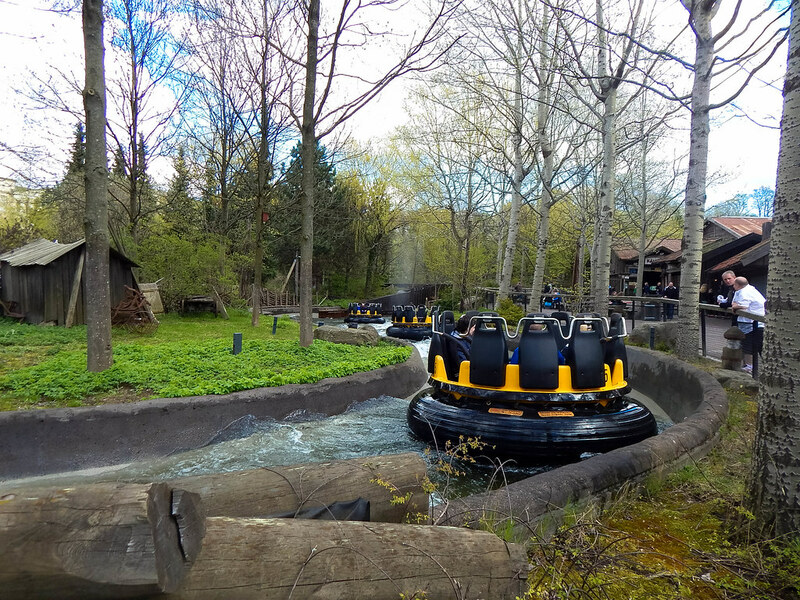 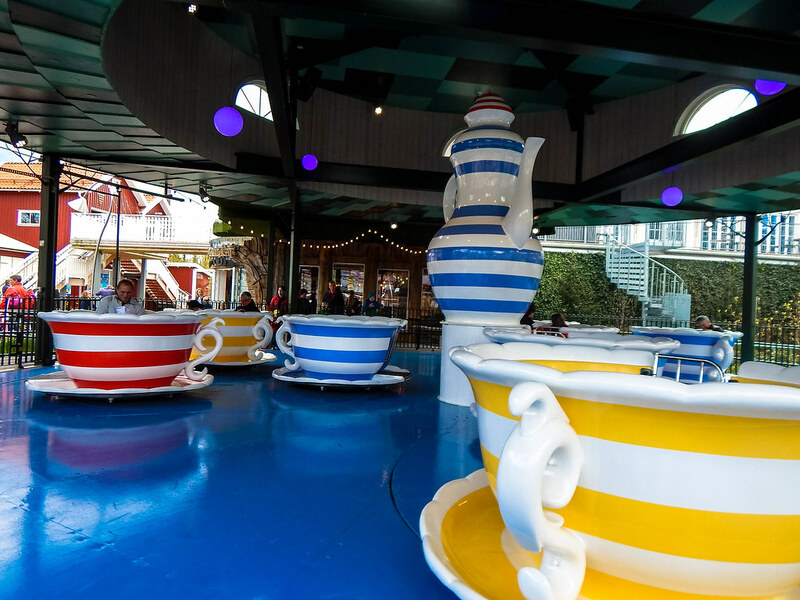 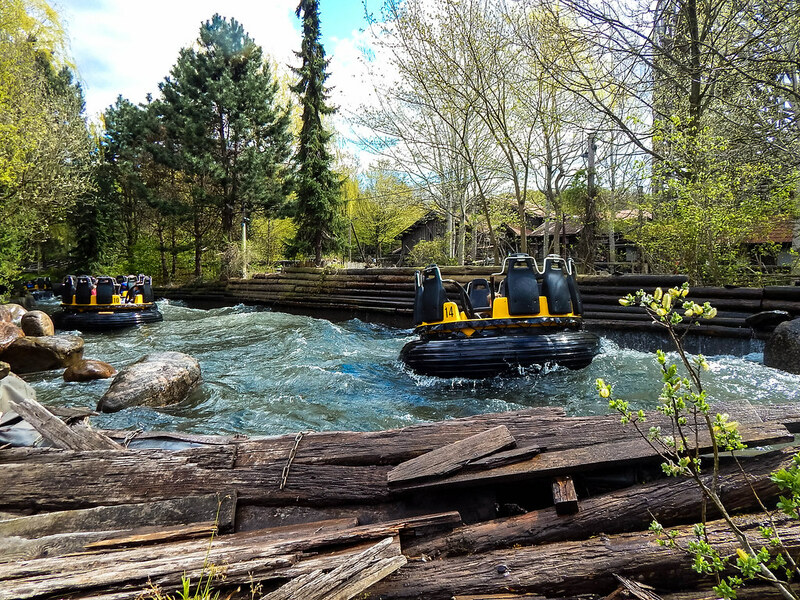 The park also has a whole host of other rides and attractions including: The Flume, one of the best log flume rides we have ever been on; Kållerado, an fantastic River Rapids ride and Upswinget, a giant air powered swing set into the side of a hill with a terrifying view. 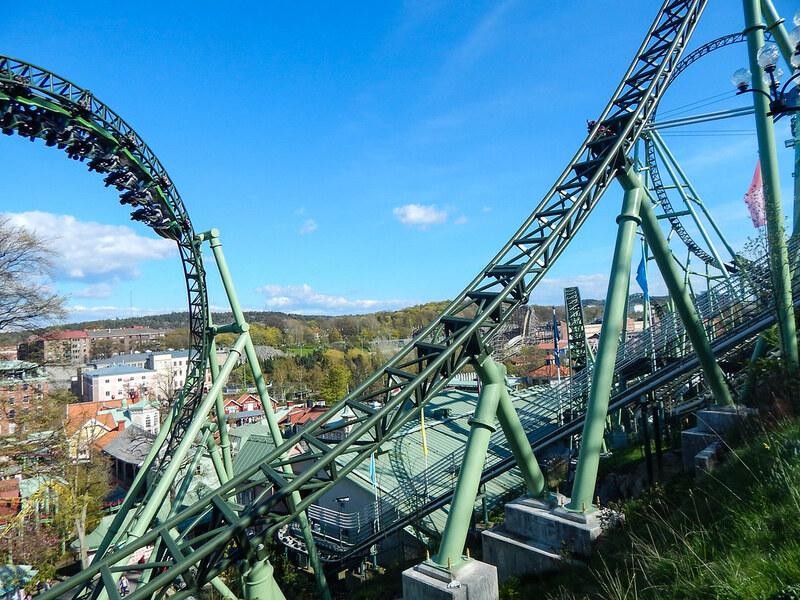 Liseberg has earnt itself a reputation as one of the top theme parks in Europe, and after our visit we can understand why. 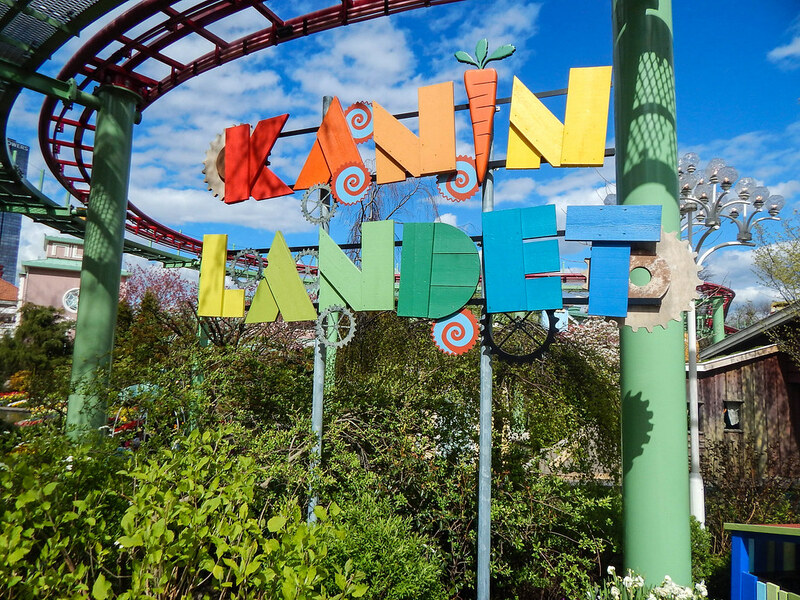 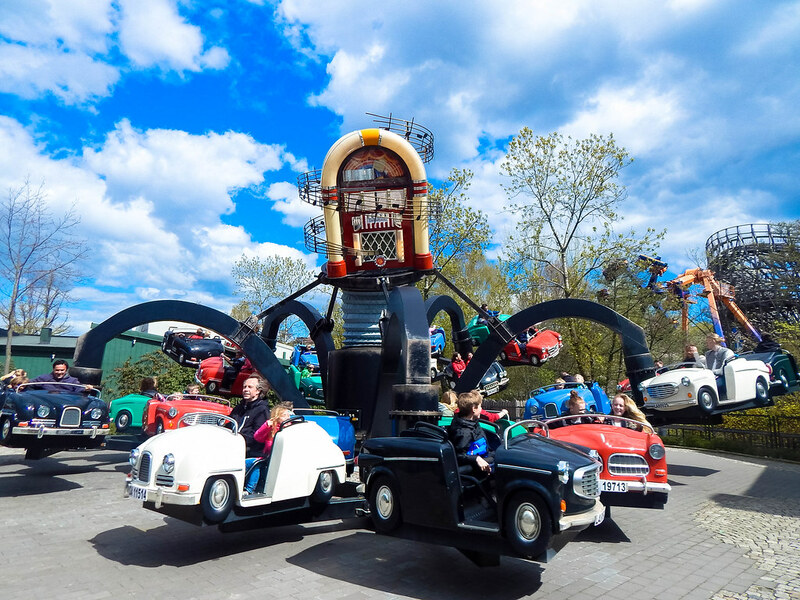 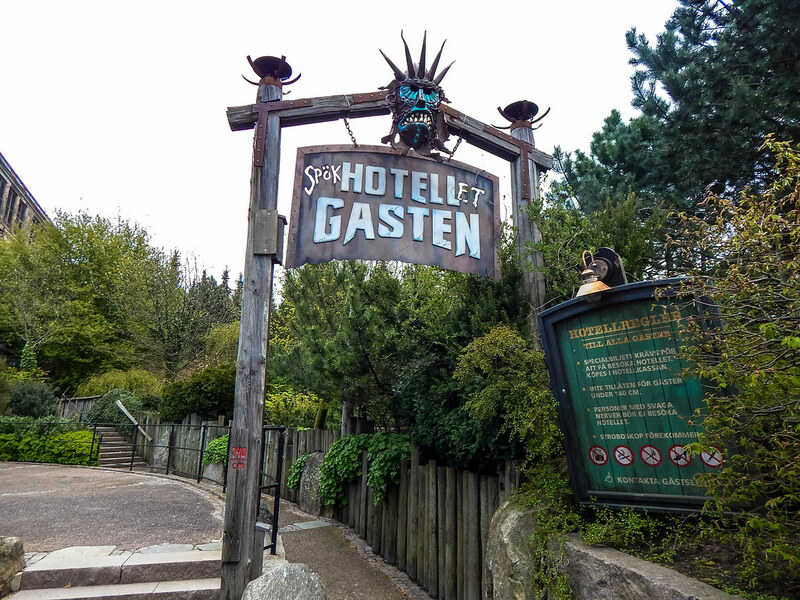 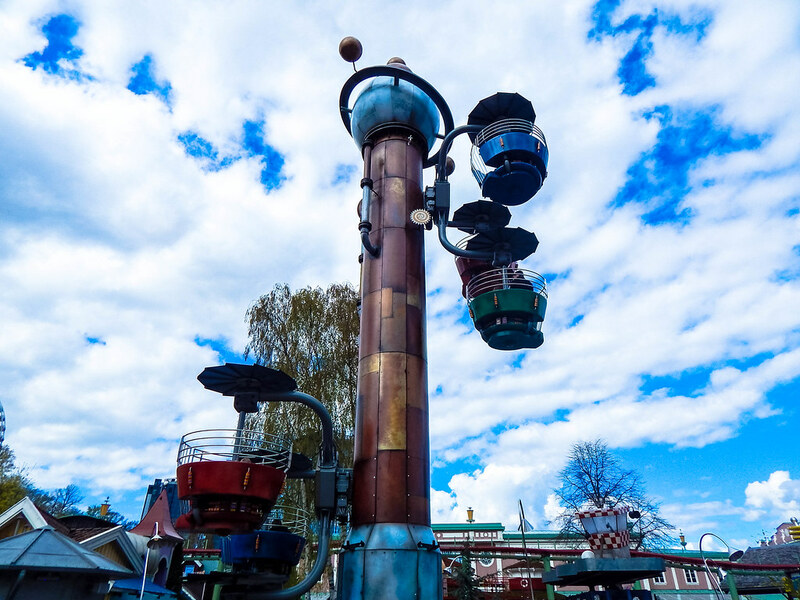 We would not hesitate in the slightest to recommend this wonderful theme park to anyone, and it is an absolute must if visit Sweden!